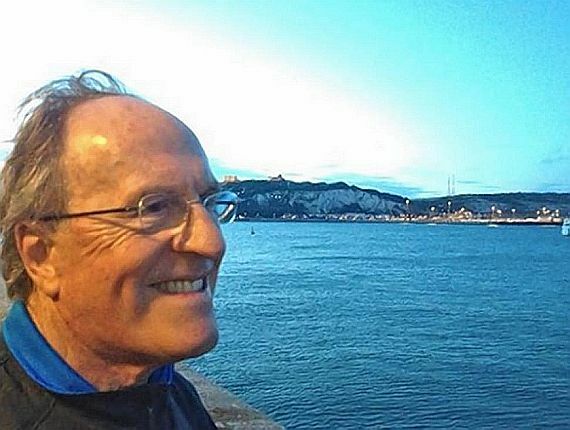 Just a bit earlier today a new age record was established: 73 year old heart surgeon Dr. Otto Thaning from South Africa became the eldest English Channel swimmer – breaking the old record by about 3 years in 12 hours 52 min (Otto was scheduled to swim in 2012 at age 72 but the weather did not cooperate then. It is amazing and extremely inspiring to see him come back to fulfil his dream!). 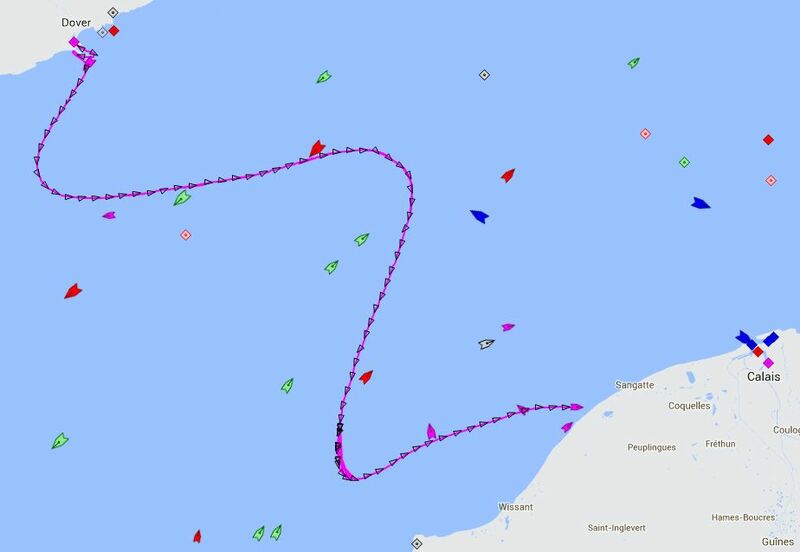 The breaststroke swimmer Tony Baley with Anastasia is also heading towards Calais – but still swimming (after 20 hours!). He finally finished after 25 h 56 min! 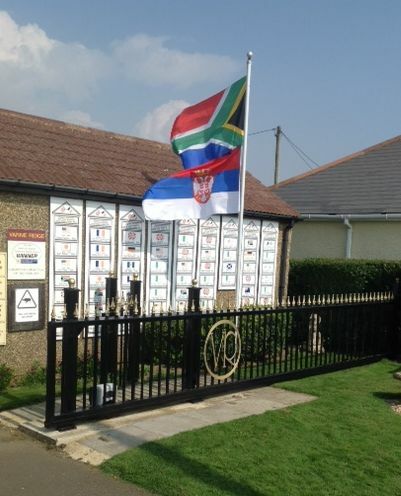 – the Serbian flag for Angikar and the South African flag for age record breaker Otto Thaning, in front of one of the rows of successful Channel swim plaques. Such a special service by Dave and Evelyn at such a special place for Channel swimmers and aspirants – thanks so much! Update Monday, 8th: As of Monday, Angikar has passed Brussels and covered over 1/3 of his bike route. They had some logistical problems and he took some more rest. 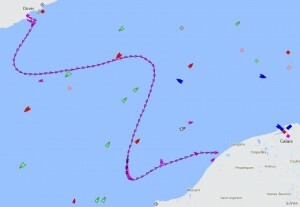 Expected to reach Aachen tonight. Update Wednesday, 10th: He finished biking in Bingen late last night and started running at 2:30 a.m. this morning. One Serbian helper had to leave, but now a local helper from Heidelberg ist also with him. 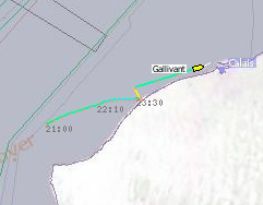 At 10:30 p.m. he still has 50 km to go. But the weather is fine and there is a beautiful full moon. Slow and steady wins the race! He will finish on Sept. 11th – the anniversary day of my first EC-triathlon attempt in 2008, when I was pulled out of the water hypothermic. 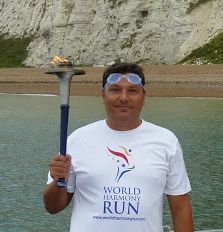 And his start on Sept. 6th was the finish day of my shorter EC triathon Dover-Aachen in 2010. Things are evolving very nicely! 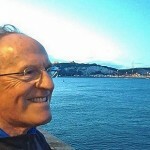 He told me he is carrying the Peace Torch (previously World Harmony Torch) with him and is dedicating every stroke, pedal and step of his “Self-Transcendence Challenge” to peace and the European Peace Run 2014, which will end in the capital of his country, Serbia/Belgrade, on Oct. 7/8th. Also, he will be able to write a book just about the challenges leading up to the start, and another one about the various challenges en route – like locking up the bikes during van-dinner, misplacing the key and calling the police etc.